The share of countries with a high or very high level of social hostilities involving religion reached a six-year peak in 2012, according to a new study by the Pew Research Center. A third (33%) of the 198 countries and territories included in the study had high religious hostilities in 2012, up from 29% in 2011 and 20% as of mid-2007. 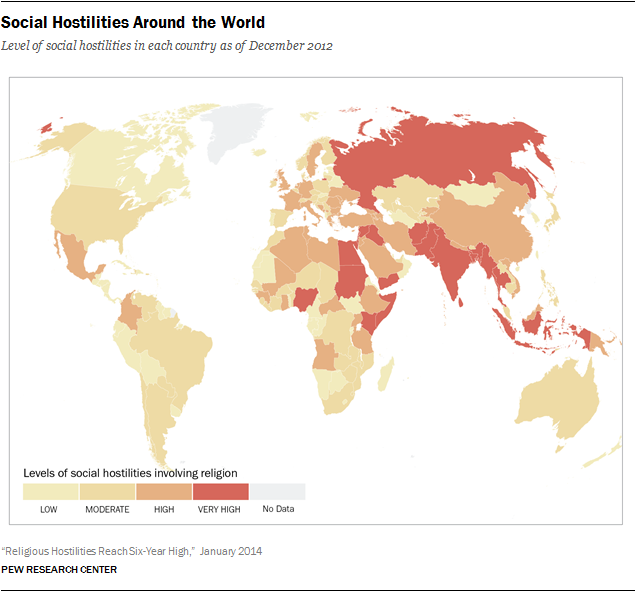 Religious hostilities increased in every major region of the world except the Americas. 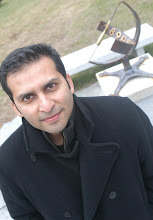 The sharpest increase was in the Middle East and North Africa, which still is feeling the effects of the 2010-11 political uprisings known as the Arab Spring.1 There also was a significant increase in religious hostilities in the Asia-Pacific region, where China edged into the “high” category for the first time. The share of countries with a high or very high level of government restrictions on religion stayed roughly the same in the latest year studied. About three-in-ten countries in the world (29%) had a high or very high level of government restrictions in 2012, compared with 28% in 2011 and 20% as of mid-2007. Europe had the biggest increase in the median level of government restrictions in 2012, followed closely by the Middle East-North Africa – the only other region where the median level of government restrictions on religion rose. Two comments here: First, you should know that the UN membership is 192. 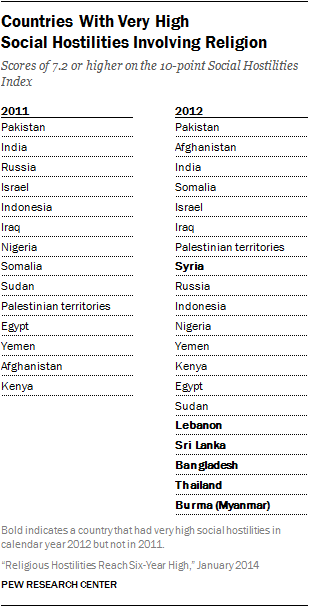 So I'm curious to know about those 7 countries where no religious groups were harassed. 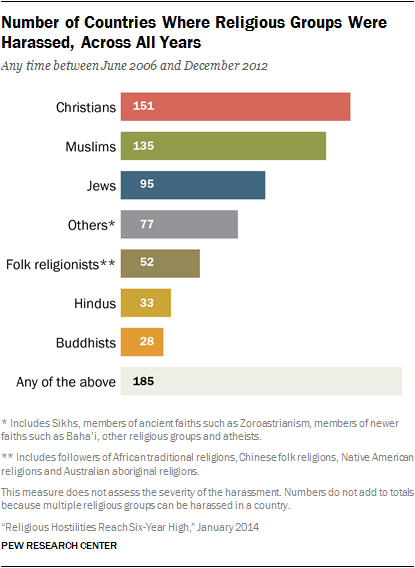 Second, I'm glad to see that not only "atheists" are included in the numbers, but so are members of new religions. Wait - so again. Who are those 7 countries that did not bother religious or atheistic group?? 70% of the countries where Christians are persecuted the most are muslim and yet no comment regarding that matter from the blogger? I guess I was wrong to expect anything else given the fact that murder, subjugation and oppression of non-muslims, including apostates, is central to islam. But I guess getting a comment on that would be too much to ask for, even from a supposedly objective academic such as the blogger. Seems like questioning or criticizing islam and fellow muslims is too much to ask for.